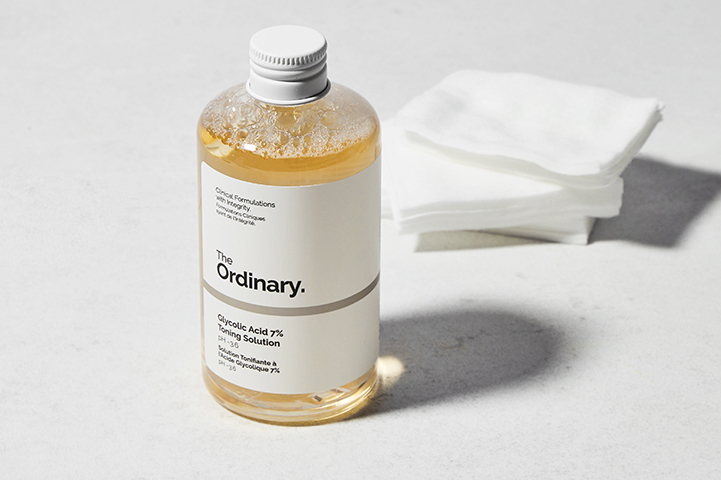 It’s our favourite ingredient for clearing blemishes, dry skin, and acne scars, but there are actually even more uses to glycolic acid than you might think… Since glycolic acid works by dissolving the bonds that hold dead skin cells together, it has benefits for multiple skin types and concerns, and is a great addition to your beauty routine below the neck as well. 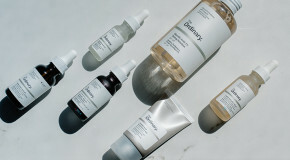 Read on to discover five new ways and unexpected to use glycolic acid. Whether you’ve experienced a fake tanning disaster or want to speedily remove the patchy remnants of last week’s tan, glycolic acid is ideal for fake tan removal. It works by exfoliating the top layer of skin, and since this is where fake tan sits, it’ll remove the colour as it buffs the dead skin cells from the surface. Keratosis pilaris or ‘KP’ (the rough, bumpy, ‘chicken skin’ many people find on the backs of their arms) is a genetic condition – so it’s impossible to permanently cure. However, glycolic acid will help to temporarily reduce the symptoms. Since KP is caused by hair follicles overproducing (and becoming clogged by) keratin, glycolic acid will help to smooth away the rough skin and clear the keratin buildup. If dead skin clogs a hair follicle, new hair growth is forced sideways instead of growing directly out of the pore, leading to the painful bumps we know as ingrown hairs. To prevent future ingrown hairs and remove existing bumps, use glycolic acid before and after shaving to shed the buildup of dead skin cells that trap the hairs. Body odour is caused by bacteria breaking down the proteins in your sweat, but bacteria can only thrive at a certain pH level. Acids lower the skin’s pH to a point where bacteria can no longer survive, so although it can’t stop you from sweating, it can help to prevent BO. 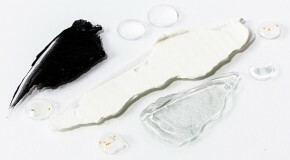 Exfoliation and hydration go hand-in-hand, and glycolic acid is a humectant, which means it has the ability to pull moisture into the skin and retain it. Look out for moisturisers that include glycolic acid, or swipe a glycolic acid-soaked cotton pad over dry skin before moisturising to smooth patches of dry, scaly skin or soften cracked heels and elbows.